PustakKaVivaran : Pachas varsh pahale jab hindoo samaj mein ghor andhakar chha raha tha. Hindoo samaj ke neta jan boojhakar athava asavadhani se hindoo samaj ki or se laparavah the, tab is laparavahi se us samay esai musalaman bahut labh utha rahe the. Krishchiyan mat ki laharen vade veg aur bal se hindoo samaj ko uthal puthal kar rahi thi…………. Description about eBook : Fifty years ago when there was a dark darkness in the Hindu society. 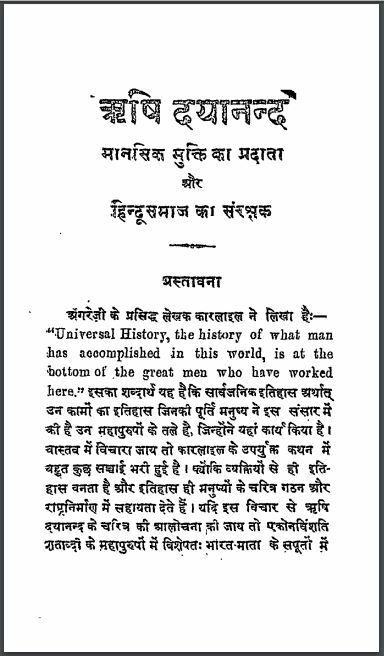 The leaders of Hindu society were knowingly or unwittingly careless on behalf of the Hindu society, then with this negligence, Christian Muslims were benefiting greatly at that time. Christian waves of Christianity were fluttering the Hindu society with vada velocity and force……………….